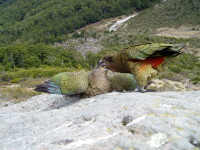 The Mount Aspiring climbing region is primarily situated on the West side of the southern Alps. It is reasonably exposed to the NZ weather systems, which can provide its challenges, but this region is very beautiful as the forest comes right on up to touch the alpine world. It has a number of small , excellent training peaks and moderate glaciation. Mt Aspiring is the highest peak @ 3033m in Mt Aspiring National Park and in our back yard, close to our base in Wanaka. Many aspiring mountaineers like the idea of climbing Mt Aspiring as it is in the moderate range of physical effort, and technical difficulty. 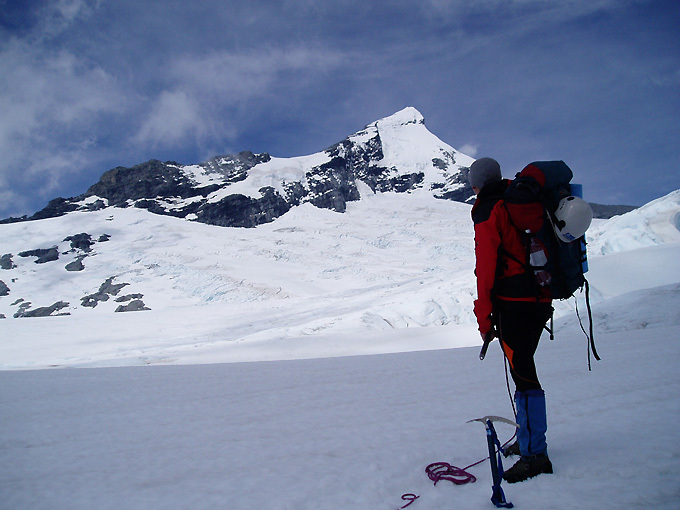 I guide Mount Aspiring via the North West direction – there are three variants depending on conditions. A 1:1 ratio is common on this route, although a 1:2 ratio is possible if both mountaineers have previous snow and ice climbing experience together. Later in the season, some basic rock climbing skills are essential. We fly by helicopter to Bevan Col and after a 2-3 hr glacier hike base ourselves at Colin Todd hut. Tent camping is our option if the hut is full (as it is relatively small and often busy mid season). Mt Rolling pin is iften a suitable warm-up objective and the iso glacier a great place to go thru or re-establish skills needed for the Mt Aspiring attempt. Early in the season, we access Mt Aspiring via the Ramp which involves ‘pitching’ about 10 rope lengths up moderate angled snow and ice. When this route is cut off by the Bergschrund, we climb via the Kangaroo patch, scramble up the rock Buttress and onto the upper NW ridge section. During mid/late summer we climb up the Shipowner ridge, along the rocky, lower part of the NW ridge, ascend the Buttress and finally climb the upper part of the NW ridge to the summit ice cap. 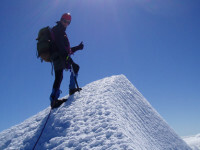 The summit day is anywhere between 8-13 hours in duration. Due to the fact that there are several ‘NW ridge route’ options for different parts of the season, I can guide you on Mt Aspiring anytime during summer. 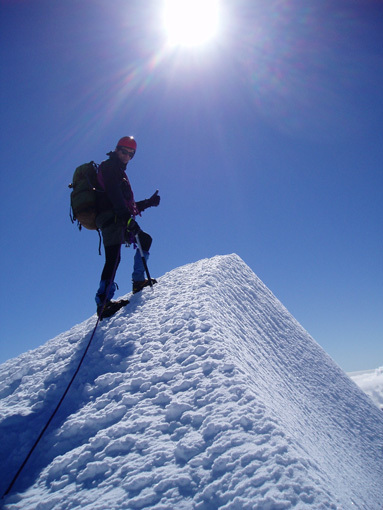 Climbing Mount Aspiring requires moderate fitness and some basic mountaineering experience and technical skills are desirable. Price doesn’t include: Personal equipment, clothing, rental gear and flight. The price varies as per loadings on the day and if we can share the helicopter with other climbers. More about flights and please ask for the latest. Bookings will go through their office and will be subject to their booking conditions. Trips with Gary will be run as per AGL’s concession and safety management system requirements. Pre-trip information, discussions and trips will as far as you are concerned, continue to run as they previously did.